Aiming to forge a “community with a shared future for humanity,” the SCO is intended to be a regional community of common security, economic collaboration and social cooperation. Promoting construction of a community with a shared future for humanity was identified as a key goal and task of China’s diplomacy in both the report to the 19th National Congress of the Communist Party of China (CPC) in October 2017 and the Amendment to the Constitution of the People’s Republic of China passed at the first session of the 13th National People’s Congress in March 2018. 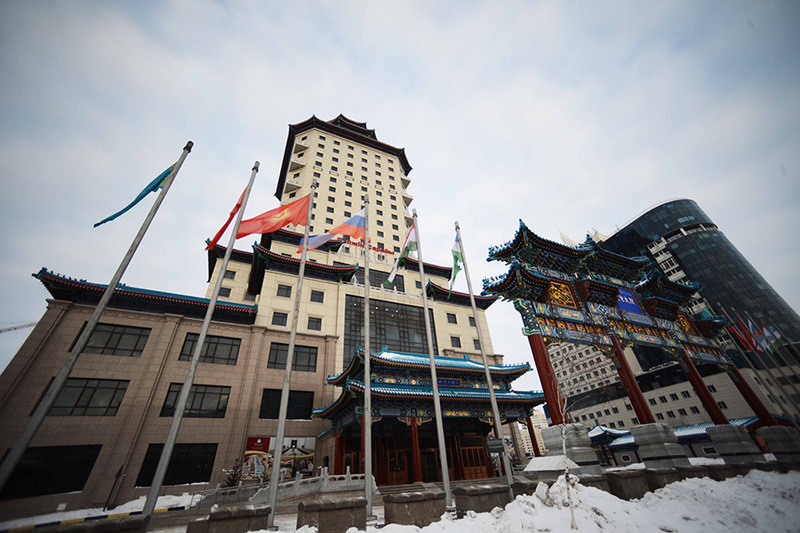 The rotating presidency of the Shanghai Cooperation Organization (SCO) currently rests with China, who will host the first SCO summit since the organization was expanded last year in Qingdao, a coastal city in the eastern province of Shandong. The addition of India and Pakistan to the SCO in 2017 marked a new chapter for the regional multilateral organization. It is meaningful to link the SCO to the goal of building a community with a shared future for humanity. As an underlying principle forged by the SCO, the Shanghai Spirit calls for inclusiveness and openness. The enlarged SCO is striving to enhance multilateral cooperation, and China expects support from other SCO member states in building a community of shared future for humanity. 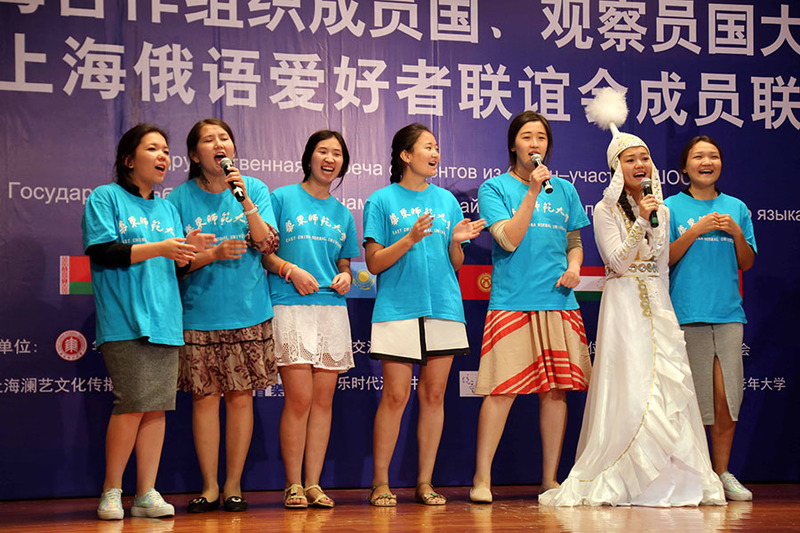 In terms of the relationship between the SCO and the concept of building a “community with a shared future for humanity,” some misconceptions should be avoided. First, just because China first presented the idea of building a community with a shared future for humanity doesn’t mean it intends to impose the concept on other SCO member states, nor did it cause a fundamental change in the guidelines of China’s foreign policy. While maintaining its previous diplomatic principles, China is becoming more active and enterprising in international affairs. Nevertheless, it still insists on developing state-to-state relations with partnerships or even strategic partnership rather than alliances. China will never interfere in the internal affairs of other countries, but only contribute through “constructive involvement.” Although China will never seek hegemony, it may still play a leading role in international affairs, abandoning the “never take the lead” principle that the country adopted just after the end of the Cold War. Second, building a community with a shared future for humanity doesn’t mean that China is attempting to use the SCO to forge a new order to replace the current world order. China’s attitude toward the current world order is clear: As part of the world order, China is a protector and reformer. The current world order doesn’t belong to the U.S. nor does it involve “peace under the rule of the U.S.,” but is represented by the United Nations and its system as well as other intergovernmental organizations, especially international financial institutions and multilateral trade mechanisms. Despite the fact that the system remains imperfect and has some major defects in terms of equality, representation, fairness and efficiency, the current world order still has the greatest degree of openness, inclusiveness, progress and freedom in human history. Third, building a community with a shared future for humanity, simply speaking, embodies the realization of global governance. Global governance requires joint efforts from the international community as well as international cooperation based on multilateralism. This is the fundamental reason China proposed building a community with a shared future for humanity. 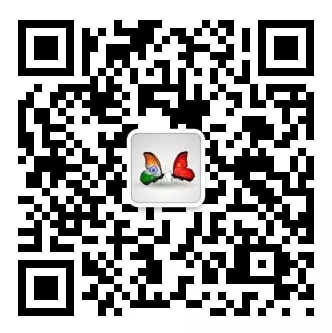 Currently, China is playing an important role in global governance. Since the end of the Cold War, multiple international platforms and mechanisms have been established to address common challenges faced by humankind, and the SCO is one of them. The concept of a “community with a shared future for humanity” consists of three key components: “community,” “shared future” and “for humanity.” By dissecting the phrase, we can better answer the following questions: What kind of community of shared future for humanity is the SCO? Why is the SCO a community with a shared future for humanity, and how should it perform as one? Second, SCO member states, as well as their societies and peoples, are interdependent, with a “shared future.” A result of globalization after the end of the Cold War, the SCO is a group of doers in the world in a region where all countries depend on each other. Interdependence between countries was already a reality in Europe by the 19th century, but not until the second half of the 20th century did humans develop systematic knowledge about such interdependency. In the 1970s, American political scientists Robert Keohane and Joseph Nye both discussed “interdependence” from the angle of power. The SCO sets another important example for interdependence between countries and peoples. Finally, the SCO is a new type of regional community. It sharply contrasts other regional organizations such as the European Union (EU), the African Union and the Association of Southeast Asian Nations in terms of origin, aim, structure, institution and priorities, but at the same time shares some similarities with them from the perspective of regional community. 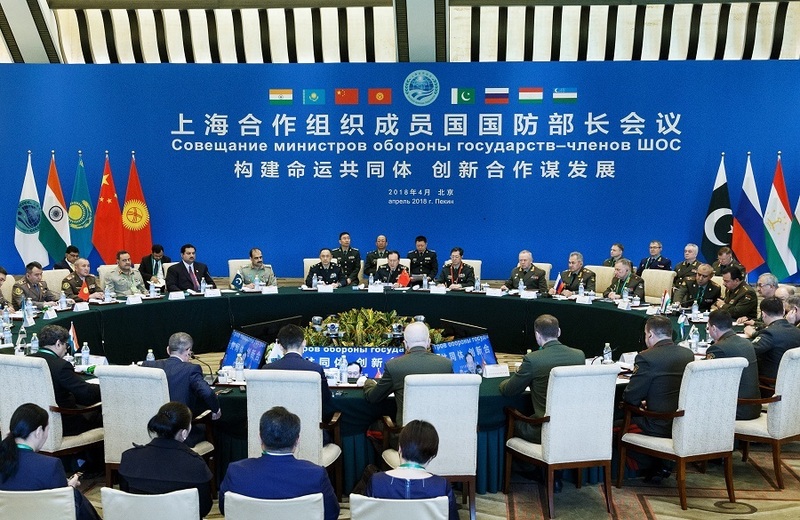 Over the past 17 years since its inception, the SCO has focused on security cooperation, forging an effective cooperative mechanism in the field. The SCO has emerged as a security community. Unlike either NATO based on U.S. hegemony or the EU with common security policy, it is a new type of security community. What is the nature of the SCO as a security community? In my opinion, the SCO represents a regional collaboration mechanism—an international congress system led by major countries such as Russia, China and India and featuring participation from many other smaller nations in Central Asia, South Asia and the Middle East. In particular, the admission of India and Pakistan to the SCO consolidated its nature as a regional collaboration mechanism. Some often confuse “collaboration” with “coordination.” In fact, “collaboration” is far more complicated than “coordination” and can exert long-term effects on world peace. The first and most successful international collaboration system so far has been the Concert of Europe, which was the primary driver of a “Century of Peace” in 19th-century Europe. The essential component of the system was a European congress system, which was even acclaimed by some as a “civilizational achievement of the 19th century.” Austro-Hungarian economic historian and sociologist Karl Polanyi elaborated on the topic in his book The Great Transformation: The Political and Economic Origins of Our Time. After the end of World War II, the United Nations, with an aim to eliminate wars globally, and the European Community that eyed preventing wars regionally, were founded and quickly became international collaboration systems that made the Concert of Europe obsolete. Then, the EU was formed on the basis of the European Community. It still inherited the nature of its predecessor: replacing war with peace and hostility with solidarity. The long-held dream of “lasting peace” in Europe eventually arrived under the framework of the EU. For this reason, the EU was awarded the 2012 Nobel Peace Prize. As global governance becomes a major topic in the research of international relations, some scholars argue that the Concert of Europe marked the origin of global governance in the 19th century. The expansion of SCO membership testifies to a boost in the organization’s sustainability and complexity. It is noteworthy that the enlarged SCO is also facing increasing internal conflict and instability. For instance, conflict between India and Pakistan remains, the U.S. army has yet to completely retreat from Afghanistan, the Iranian nuclear issue is one of the severest threats to global nuclear nonproliferation (second only to the Korean Peninsula nuclear crisis in terms of severity) and the world is still grasping for a fundamental solution to the long-term standoff between Iran and the U.S. In this context, some scholars believe that the legacy of the Concert of Europe should remain inspiring for the promotion of world peace in the 21st century, as a theory on global governance to avoid war and prevent conflict. The SCO, whose role was once ignored, has also introduced new topics that demand attention such as international maritime issues. The China-proposed Belt and Road Initiative integrates land and maritime issues concerning the SCO. Holding the SCO summit in the coastal city of Qingdao is intended to remind people of the importance of maritime issues in the SCO collaboration mechanism. In addition, the SCO should serve as both an economic and social community. It still needs to do better at enhancing economic cooperation. The SCO will become a stronger organization when it becomes a real economic community. After all, economic growth is the foundation of development for all countries. SCO member states have also carried out cooperation in the exchange of nongovernmental organizations and on other social issues. For instance, these countries regularly participate in the SCO People’s Forum and think tank forums on public policy and engage in cooperation in areas like education, science, culture, health and sports. All of these are pushing the SCO towards a social community. Positioned at a new starting point, the SCO needs to redefine itself. With the organization’s rotating chairmanship this year, China has provided a new definition for the SCO: a community with a shared future for humanity—namely, a regional community of common security, economic collaboration and social cooperation. The author is a distinguished scholar of international relations at the Ocean University of China, president of the Institute of Marine Development, director of the Global Governance Research Center, executive chairman of the Academic Committee of Grandview Institution and a doctoral tutor at Macao University of Science and Technology.